My entire month in Japan was wonderful and traveling through the Japanese Alps was another highlight. The Alps are a beautiful region, with mountains over 3000 meters high. But it’s not just about nature, there are a lot of cultural activities as well! 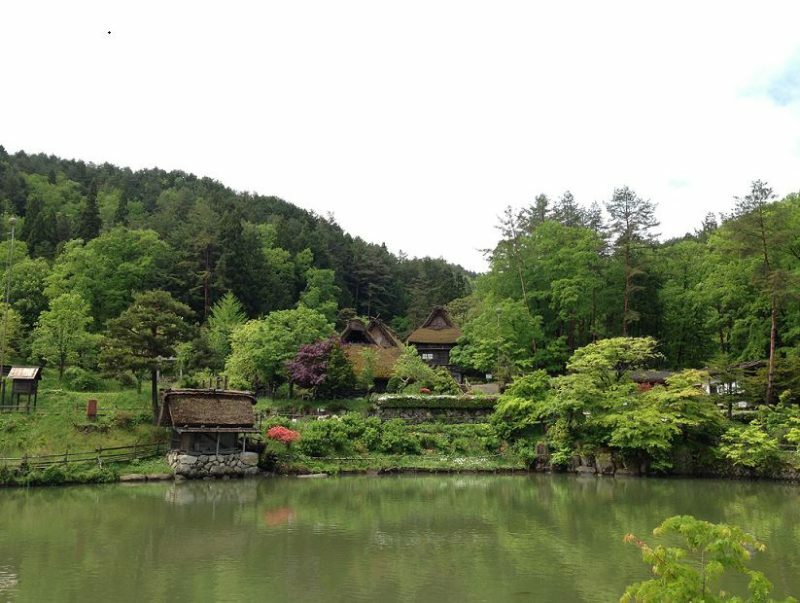 Like the Kenruko-en garden in Kanazawa, the traditional gassho-zukuri farmhouses in Shirakawa-go and the Hida Folk Village in Takayama (read more about these places below). I spent six days in the Japanese Alps and visited Kanazawa, Shirakawa-go, Takayama, Kamikochi and Matsumoto. All the highlights and our accommodations are marked in the map below. A must visit in Kanazawa is the famous Kenruko-en Garden (¥310 per person). It’s a beautiful garden and though we aren’t that much into plants, we enjoyed strolling around the ponds and the immaculately kept lanes. We also visited the old samurai neighborhoods, Nagamachi and Katamachi, and strolled along the river bank to enjoy the sunset. A lovely walk! At Kyoto station we bought a ticket for the local train to Kanazawa (¥4000 per person). There is also a Shinkansen from Kyoto to Kanazawa. The Shinkansen takes only 2 hours, the local option takes 4 hours. If you’re short on time and don’t mind paying double the price we paid for the local train, the Shinkansen is a great option. Anyway, we took the local train to Kanazawa, meaning we had to change at Tsuruga. On the platform we found a tiny shop selling soup, perfect for lunch. From Tsuruga we took the train to Fukui, at Fukui we boarded the train to Kanazawa. We got out at Nishi-Kanazawa where we hopped aboard a tiny train bound for Nomachi (¥140 per person). From Nomachi station it was only a short walk to our hotel. We stayed at the APA Hotel Katamachi for 1 night. I searched for quite a while and this was one of the cheapest options I found. + The hotel was nice, clean and quiet. + The hotel staff was friendly and the check-in very smooth. + Close to the bus stop to Kanazawa JR Station. – It smelled a bit like cigarettes in the bathroom (even though we had a smoke-free room). • Price paid for a night: €40/$45. 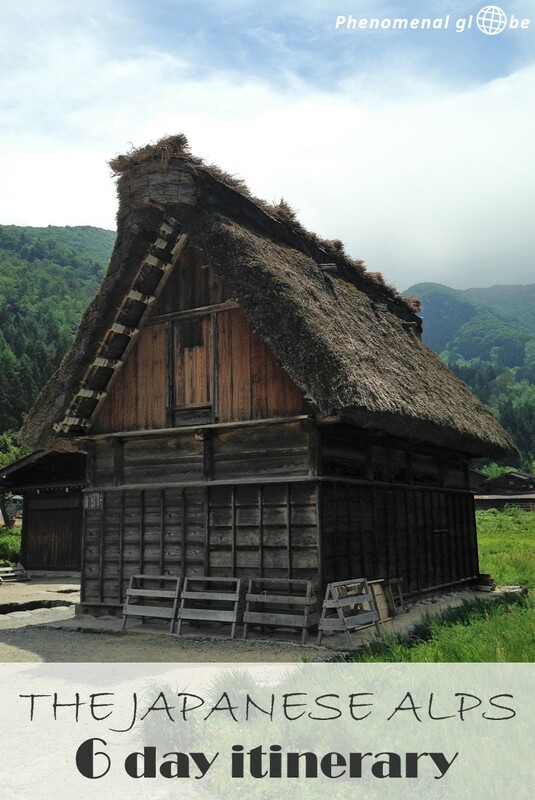 Yes, Shirakawa-go is rather touristy, but it’s definitely worth to visit. Being from Europe, I am used to seeing the Swiss and Austrian wooden cottages. 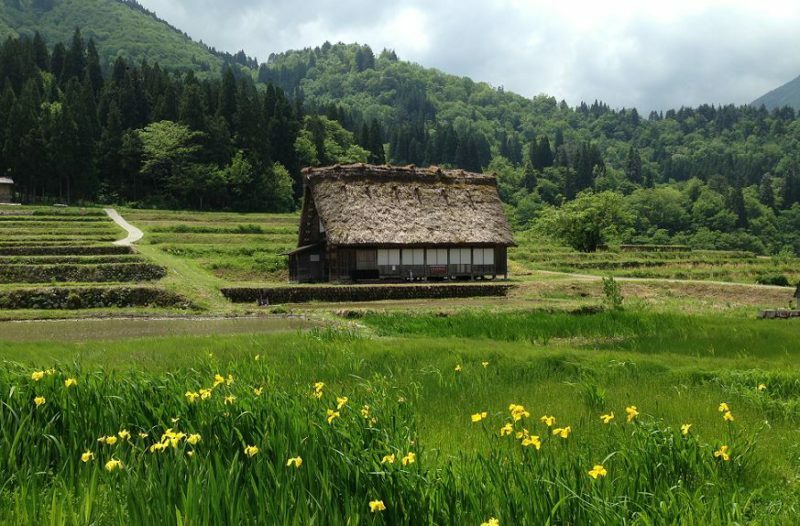 But the gassho-zukuri farmhouses are very different, the roofs are made from thick layers of reed. Some of the houses are more than 250 years old! 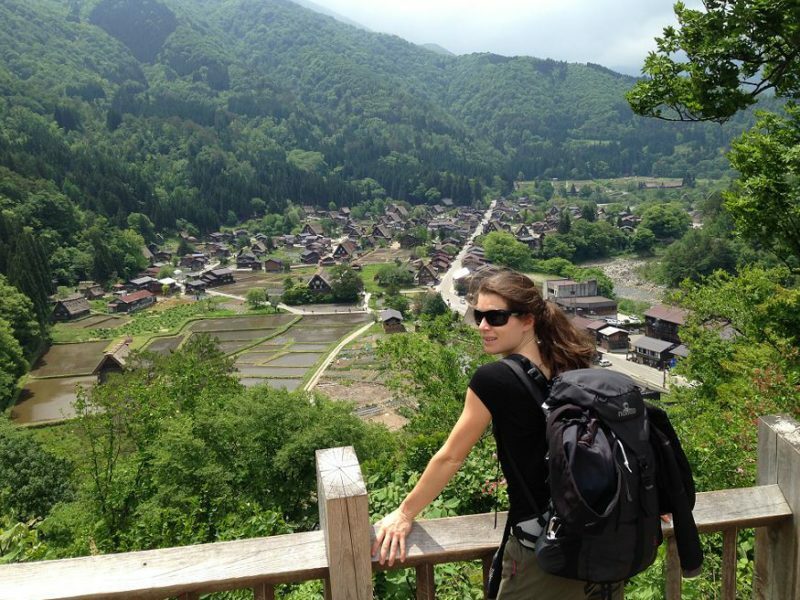 We hiked up to the viewpoint, strolled around the quaint little streets and along the small rice fields of Shirakawa-go village. From our hotel we took the bus to Kanazawa station, there we managed to buy tickets to Shirakawa-go costing ¥1850 per person. Yes, travel in this part of Japan is expensive! 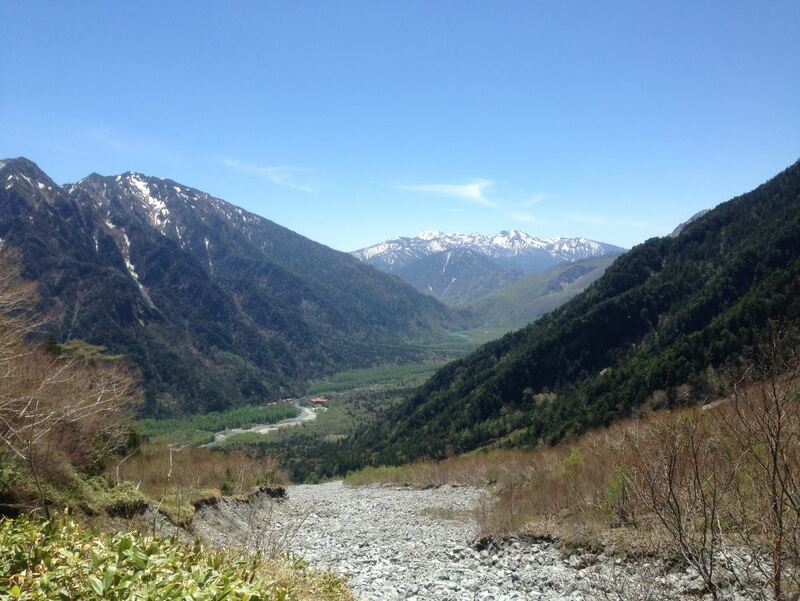 Nevertheless, it’s a beautiful trip to Shirakawa-go, green forest and snowy mountains in the backdrop! Note: the first 2 buses leaving to Shirakawa-go from Kanazawa bus station were fully booked. If you want to be sure of your departure time (or if you are traveling in high season) it may be wise to buy tickets the day before. At Shirakawa-go bus station, We stored our bags at the tourist information center so we didn’t have to carry them around when exploring the village. Costs: ¥1000 for 2 big backpacks (there are also ¥600 lockers but these were all taken). We also visited the Hida Folk Village (¥700 per person), which is a really nice place! 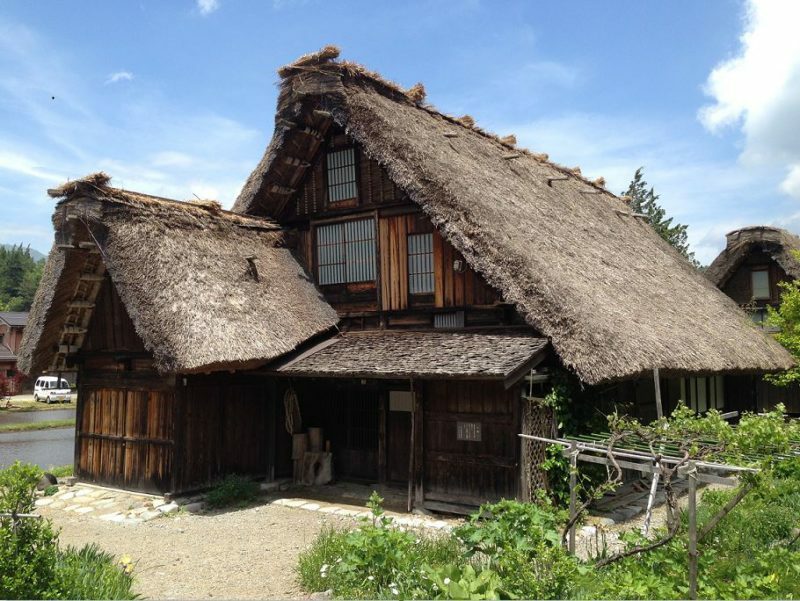 In the Hida Folk Village you find many old houses in building styles typical for the region. 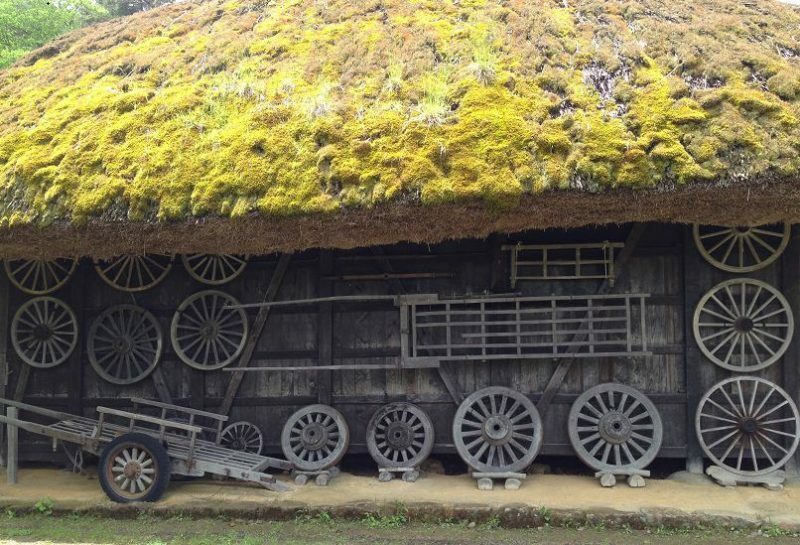 The houses were all taken apart at their original locations and rebuilt in the Hida village, to conserve them and share their unique designs. What I liked about the village is that you could enter many of the houses, which made it easy to imagine how people lived in ancient times. 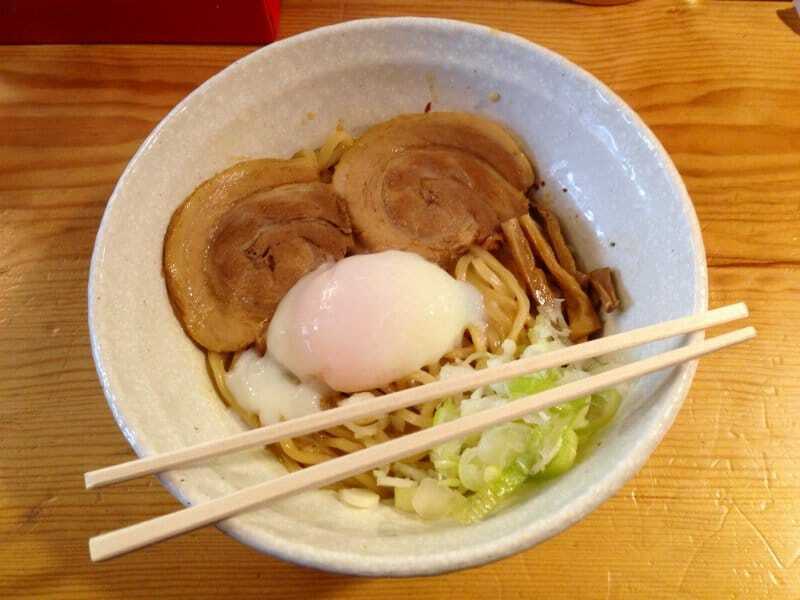 There were also a lot of great things to eat in Takayama, you can read more in this post. The buses to Takayama leave just outside the Shirakawa-go tourist information center. You can buy a ticket at the tourist information center in Shirakawa-go or at Kanazawa bus station, the bus costs ¥2470 per person. 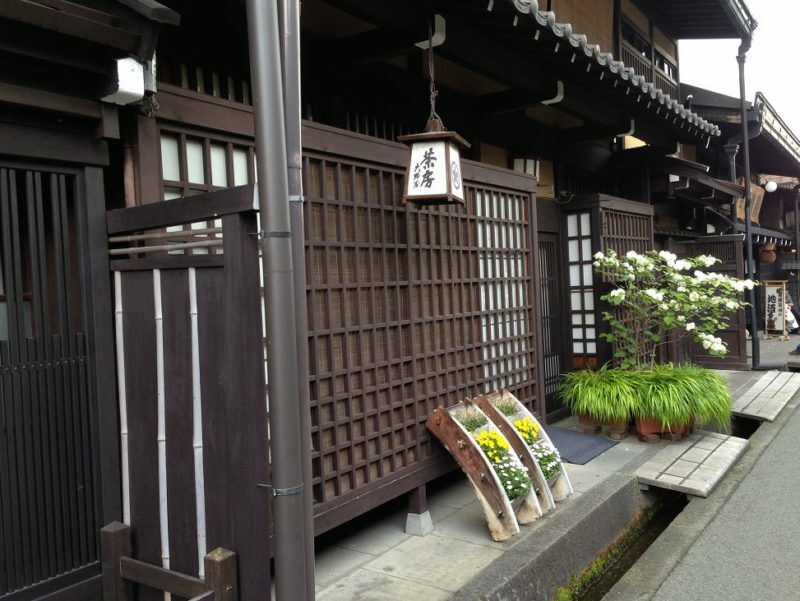 We stayed at Hida Takayama Guesthouse Gekka for 1 night. It was not in the center of Takayama, but within walking distance from the bus station. + Nice guesthouse with good facilities (tea kettle, Wi-Fi and clean bathroom). + The rooms were spacious (both the communal living room as well as our bedroom) and the Japanese futons we slept on were comfortable. + The owners were friendly and helpful. – It was rather noisy, the walls are very thin and you hear pretty much every word your neighbor says. – There were only 3 rooms occupied during our stay but the shower and toilet were continuously in use already. There is no other place to wash your hands than in the shower and in the morning it gets pretty busy. I felt €50 a night was a little expensive considering the shared facilities. • Price paid for a night: €50/$55. Kamikochi is a wonderful place that truly stole my heart… How could it not with these amazing views! We spent 3 days in Kamikochi, you can read my post about hiking and camping in Kamikochi here. We booked our bus ticket at the bus station in Takayama, only a couple of hours before our departure. The price for a ticket is ¥2600 per person. We stayed at the Konashi-daira campsite for 3 nights. + The campsite in Kamikochi was also the best managed campsite we stayed at during our 1 month trip around Japan. – Absolutely nothing, the only downside was having to leave?. • Check the website for more information. • Price paid for a night: €13/$14,50. One cannot visit Matsumoto and not go to famous Matsumoto Castle (¥610 per person). 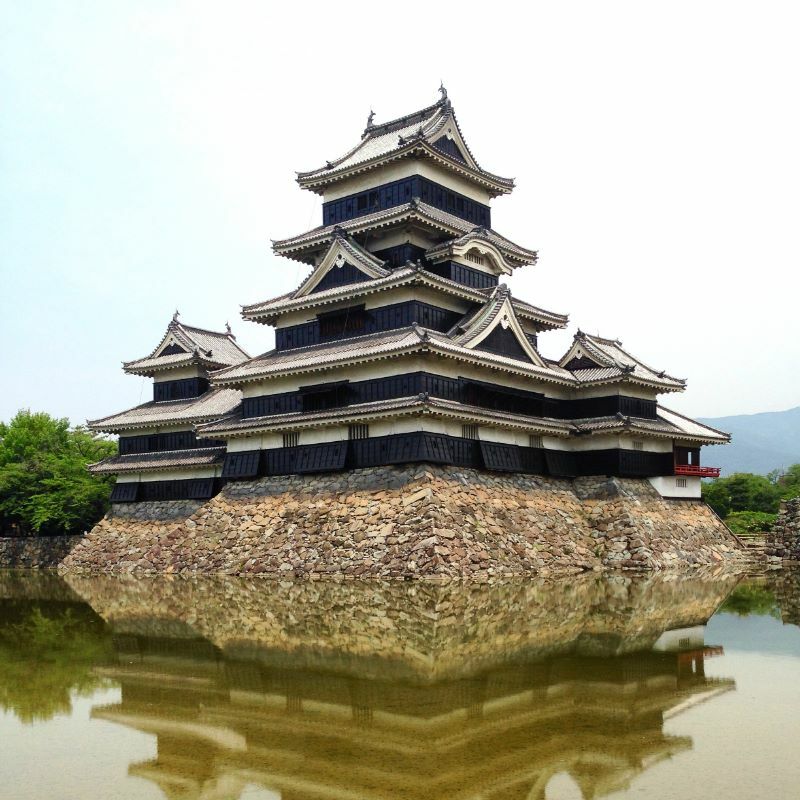 Of the four Japanese castles I visited during my trip, Matsumoto is my favorite! Matsumoto Castle was built in 1504 and is made entirely out of wood. It’s nicknamed the ‘Crow Castle’, because of the black exterior. A really cool thing about Matsumoto Castle is the secret floor, which is hidden between the levels. The secret 3rd floor doesn’t have any windows, so from the outside it looks like Matsumoto Castle only has five stories, but secretly there are six! The purpose of the secret floor is to mislead the enemy about the number of soldiers inside the castle. From Kamikochi bus station we took a bus to Shinshimashima train station where we changed to a tiny train taking us to Matsumoto. More information can be found here. We booked the combined bus-train ticket a day before our departure, you can do so at Kamikochi bus station. The price for a ticket is ¥2450 per person. You can download the map of my 6-day itinerary around the Japanese Alps below. And if you want to read more about Japan, check out my other Japan posts! Hi Lotte, What a cool post, I never really thought of Japan having Alps or camp sites for that matter! The scenery looks incredible and like there is a ton to explore. Are there any multi day hiking opportunities bringing some of these sites together? Great adventures to be had everywhere! Thanks Emily! It was a surprise for me too when I started researching Japan last year. 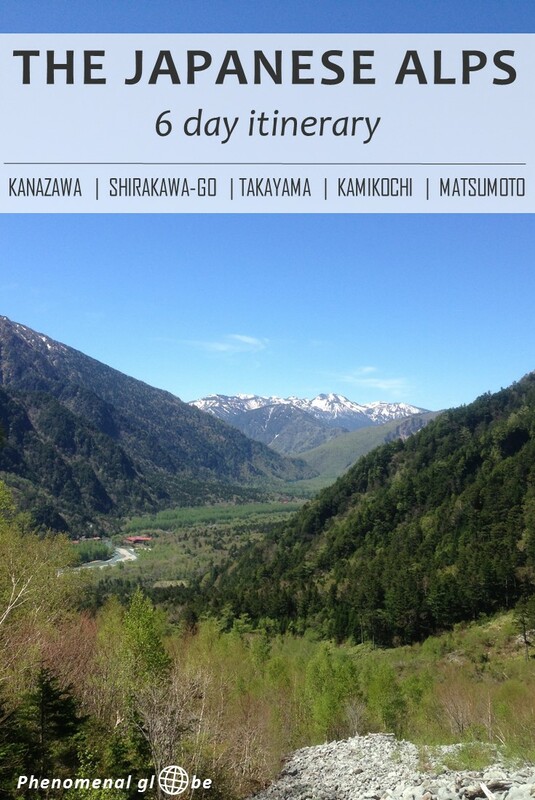 I desperately wanted to visit Kamikochi but the accommodation in the valley is very pricy. Enter camping;-). There are multi day hikes but these were not open yet when we visited. Some of the trails have mountain huts, for others you’ll need your own gear. I bought the Lonely Planet Hiking in Japan chapter of the Alps which details everything you need to know:-). Can you rent camping gear? Was it a pain lugging it around? I’m actually now quite sure if it’s possible to rent camping gear. In Kamikochi there were tents you could rent, these were already set up on the campsite. You can check the camping website (http://www.nihonalpskankou.com/common/pdf/EnglishGuide.pdf). We have relatively lightweight camp gear, but of course things add up and carrying your own equipment adds several kilos to your luggage total. Thank you Mahendra:-) They are stunning places indeed! I never knew Japan had Alps Lotte which is so cool. We visited the Southern Alps in New Zealand 2 months ago. Let me tell you, beyond eye-popping. I have a whole new respect for cooler climates after this trip, and won’t just do trips to the tropics going forward. Definitely expanded my awareness just a little bit. I enjoyed reading your blog. While planning for a 1 month trip to Japan for 2019 I came across your blog when searching for info on the Japanese Alps. I could not figure out when were you actually there. In February? We will be leaving Tokyo at the end of March. I was considering visiting the Apps but I am concerned about the weather at the beginning of April. That’s why I am wondering about when you were there and the weather at that time. Please let me know. Thanks! Thank you, I’m happy to hear that:-) We traveled Japan in April/May 2016 and were in the Alps the last week of our trip (around mid-May). It can still be very cold in the Alps in April, so be prepared with lots of layers! When we were there the temperatures were quite high already, around 20-25 degrees Celsius. Have an amazing trip! I am going there in november !! But I was wondering which bus company did you book for Japanese Alps ? Great you are going to explore the Japanese Alps! You can find more information about the bus company here: https://www.japan-guide.com/bus/shirakawago.html. We didn’t book ahead but just went to Kanazawa bus station to buy a ticket on the day itself. Have a great trip! Kamikochi looks amazing! What a bummer that we wont be able to go there, since we’ll be there around end November. I will definitely try to arrange this into our next visits! When do you think will be the best time to do the hikes? I guess the mid of summer will be too hot, and probably too crowded though. Kamikochi was amazing indeed! I reckon November will be too late to visit, there will probably be lots of snow already:-) About the best time for hiking, I have been wondering the same thing. Summer is crowded but some trails still have snow until the end of June. So July, August and September are probably the best months in terms of accessibility of the trails. And because of the altitude the temperatures should be manageable, though I think it will be hot in the valleys. 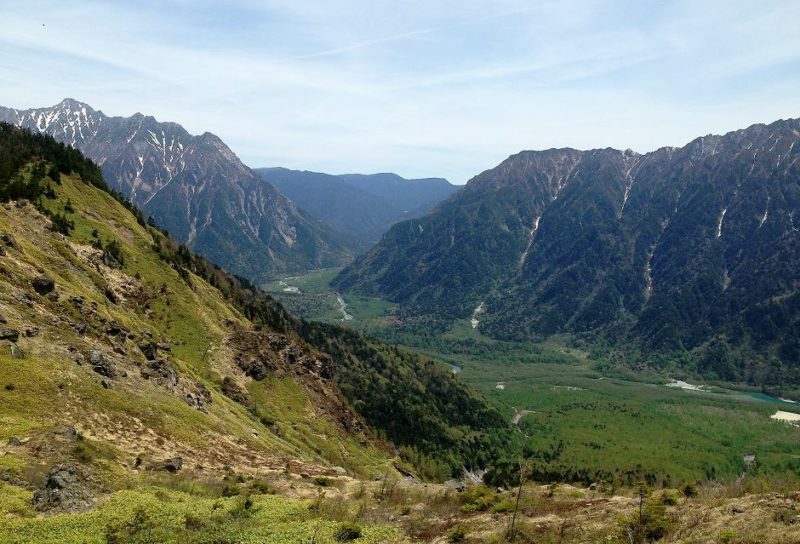 I would love to do a multi-day trail in the Kamikochi area, who knows we’ll come across each other one day. Enjoy your trip in November! This campsite sounds like a great place to base several great hikes out of. I go to Japan every summer and am thinking of finding a time in my itinerary for it. How long would you suggest for moderate hikers? We will also be doing scuba in Ishigaki, biking the Shimanami Kaido, and relaxing near Hakone. Wow, every summer to Japan, that’s awesome! I’d love to make another trip to Japan… One day I will! I feel our 6 day trip was perfect, we did most of our hiking in Kamikichi. In the other places we strolled around to see the sights but I don’t consider that hiking;-) I wish you a wonderful trip and I would love to hear about your scuba experience in Ishigaki!